MediaTek’s latest, most advanced and highest performance Helio P60 SoC (System on a Chip) is first time globally available in UMIDIGI Z2 Pro. 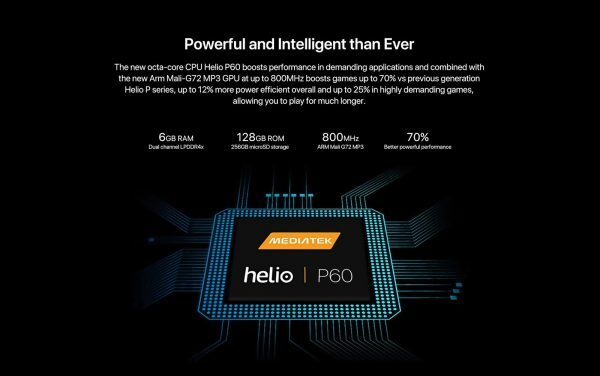 The eight (4 x ARM Cortex-A73 + 4 x ARM Cortex-A53) processor cores offer a 60% higher performance but – thanks to the 12nm production process – with even 12% lower power consumption, compared to the previous generation of the Helio P series. Thanks to the new notch screen design, almost 90% of the front surface is covered by the screen, creating the best body- to screen size ratio. Your 6.2-inch screen Z2 Pro still remains as pocket friendly as a 5.5” screen device. With the Full HD+ resolution IPS LCD screen you can enjoy a superior color gamut, sharp and detailed picture that make viewing photos, watching videos or playing games more fascinating than before. 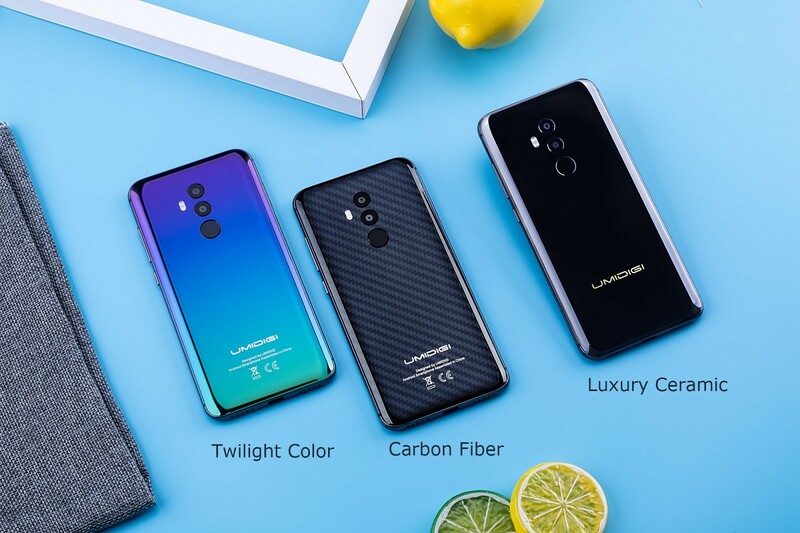 One of most attractions UMIDIGI Z2 Pro is that It supports dual fast charging, specially 15W Qi fast wireless charging, which is fastest in the world. 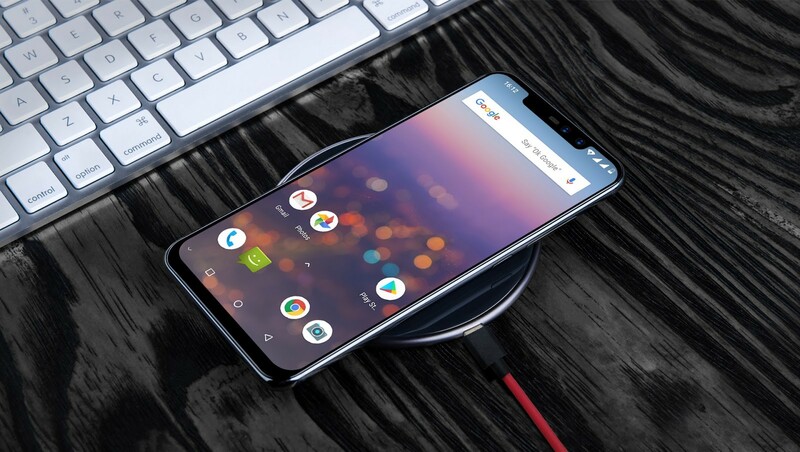 The wireless charging pad made available for UMIDIGI Z2 Pro and UMIDIGI One Pro can be also used for charging other Qi compatible phones. UMIDIGI Z2 Pro could be fully charged within 70 minutes via 18W fast cable charging while within 100 minutes by 15W fast wireless charging. Keep charging simple and fast, even when your hands—and day—are full. If you are bored of those black and gray phones and wants something more exciting, UMIDIGI Z2 Pro is for you. 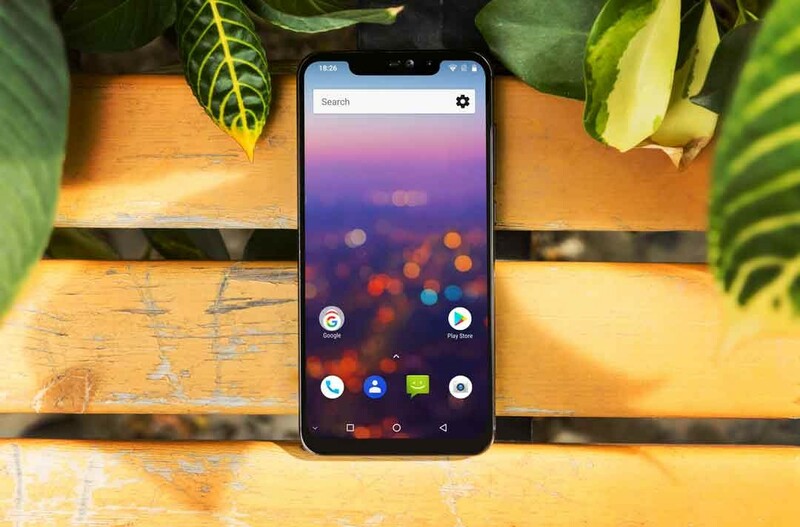 The gradient Twilight color will surely attract your friends around you or on those boring cloudy days just a glance at the back of your phone will make you happier. The Carbon Fiber variant looks sturdy and adds a professional feeling to your smartphone. By choosing the Luxury Ceramic edition (made of real ceramic) an impressively elegant design, but also a smooth in hand yet highly scratch resistant surface. The Ceramic is so hard that almost nothing but diamond can leave any signs on its surface. So scratches are something that you don’t have to care about anymore. The UMIDIGI Z2 Pro is shipped with Google’s most up-to-date Android 8.1 system without any modifications or added junk software. No pop-up messages of pre-installed apps that you never use, no unwanted apps running in the background to just use battery power and reduce the performance of your device. You can just enjoy the freedom and simpleness of the clean Android 8.1 system, or you can customize it as you wish. The UMIDIGI Z2 Pro is one of the best Android phones you can buy right now. It needs to point out that this is a global open sales large event, lasting until 19 Aug. If you snap it now, the dispatched time is from 1 – 3 weeks. 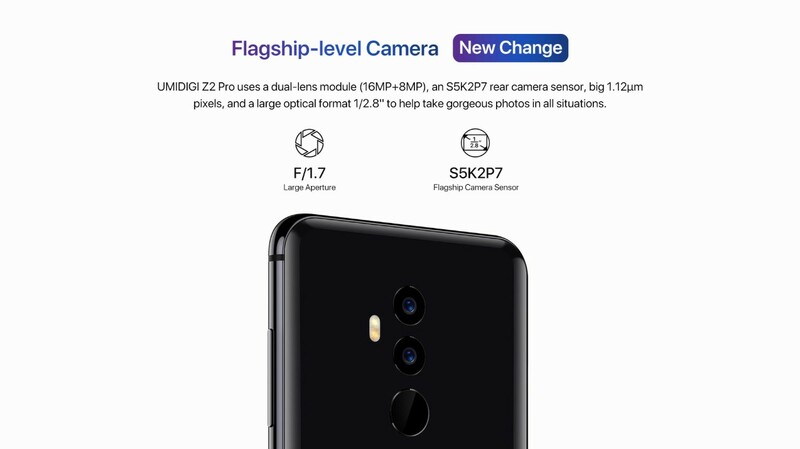 You can check all specifications UMIDIGI Z2 Pro at official website or snap up UMIDIGI Z2 Pro now right here! Nächste Pressemitteilung BRANDNEU bei Caseking – Die Lian Li LANCOOL ONE Series bietet die perfekte Symbiose aus Klassik und Moderne. UMIDIGI Q1, world’s fastest wireless charger kicks off sale, shipment starts from 6th June!